Welcome to the 2018 Australian Open sponsored by Tiger Balm. That's not sweat you will smell, it's liniment. Those aren't headbands they'll be wearing, it's bandages. In short, this is a wounded sport with an entire body of problems. To be precise, Andy Murray and Johanna Konta's hips, Caroline Garcia's back, Rafael Nadal and Stan Wawrinka's knees, Kei Nishikori's wrist and Novak Djokovic's elbow. All this, please understand, is about as good for tennis as Margaret Court is these days. Tennis should be holding up its best players as paragons of athleticism, instead we're shuffling through X-rays. If tennis passes off this injury parade as just a fluke, bad timing and general wear and tear, then that's just naive. From hard surfaces to strange stances to endless rallies to long seasons, they're all doing to bodies what tennis' Maker didn't have in mind. Roger Federer said it's normal age-related stuff but that is an inadequate answer. Anyway he only has a degree in miracles not physiology. Tennis should be herding doctors, physios, racket technicians, biomechanists, string people, surface experts into a room and demanding studies and solutions. But play has to go on and the ghost of Rodney Heath, who triumphed in a field of 17 to win the first Australasian Championships in 1905, will be looking for his latest heir. His trophy, notes a State Library of Victoria blog, was worth 50 guineas. The champion on Jan 28, 2018 will receive A$4 million (S$4.19 million). Enough to buy a pharmacy. Drama at this Open is always only a fried egg away. Or at least that's what film crews try and cook when the court surface gets absurdly hot. Back in 1969, before the current Extreme Heat Policy existed, Rod Laver's 90-game semi-final against Tony Roche in 38 deg C heat with 95 per cent humidity was so draining that he wrote: "When we embraced... I think we were holding each other up as much as offering congratulations". Q. And your racket, you fairly well smashed that, then you threw it to someone in the crowd. A lucky guy. Safin: Is that a question? Q. Have you ever flattened a racket that much? Safin: I broke one year 68 rackets. Hang around at the Open and there's always theatre. 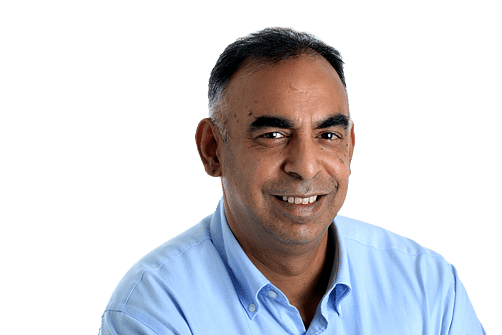 Champions have dived into the nearby Yarra River, cried on court while serving and Martina Hingis, after missing four match points in the 2002 final, quite rightly told the LA Times: "Maybe if we had the Heineken beer in the cooler, it would help me to make the final point." Without warning at the Open, writers of tall tales emerge from the globe's interesting corners. Ramesh Krishnan, an Indian so precise he should have worn surgical gloves while playing, beat world No. 1 Mats Wilander in 1989, while 14 years later a Moroccan kept 13,000 people seated past midnight as he and Andy Roddick wrestled through a 2hr 23min fifth set. One picture from that day lingers: John McEnroe is asking questions, the winner Roddick looks exhausted and the loser Younes El Aynaoui is laughing. Ah, this was sport. Players this year are missing and rusty, but that sound you hear amid the groans is opportunity knocking. Who is going to seize it? At previous Opens, less heralded players such as Marcos Baghdatis, Thomas Enqvist, Arnaud Clement and Rainer Schuttler have made finals, but none seized the trophy. First Slam victories are scary, they are journeys into unexplored territory, leaps in the mind, breakthroughs in belief. Winning is a complicated business, a strange sensation, or as Thomas Johansson, the surprise champion of 2002, told the Guardian that year after his semi-final win: "It's a great feeling to have in your body because you want it so bad, so you are sh***ing in your pants almost. But I like it." Maybe this year Nick Kyrgios will finally like it. 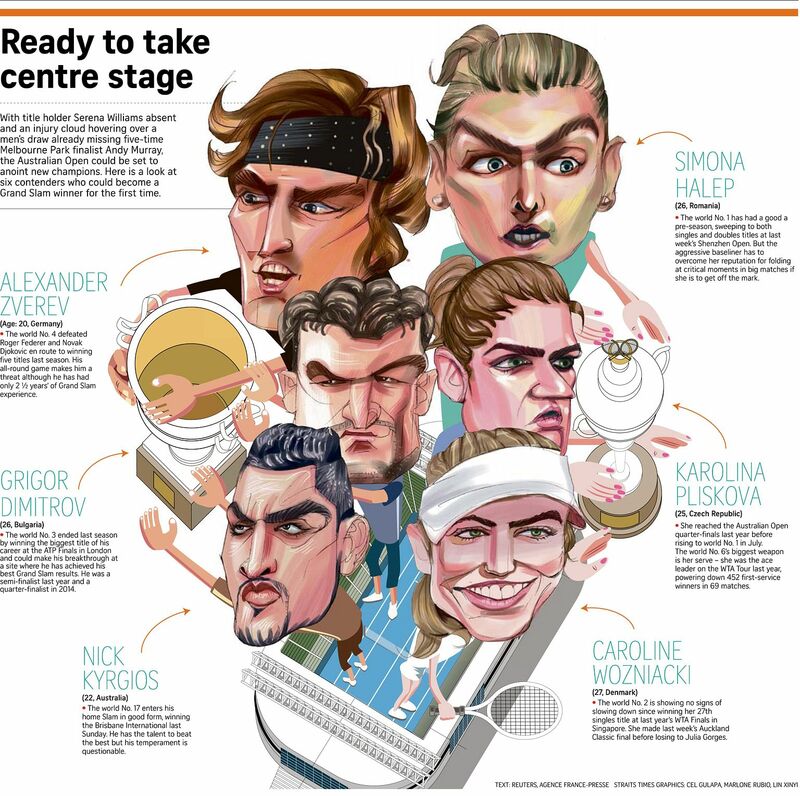 The Australian has the cheek and the crowd, the Bulgarian (Grigor Dimitrov) has the confidence after last year's ATP World Tour Finals win, the Canadian (Denis Shapovalov) has the potential, the German (Alexander Zverev) has the game, and the Greek (Stefanos Tsitsipas) has the pedigree - his Russian grandfather Sergei Salnikov won an Olympic football gold in 1956. In Melbourne, of course. Can you look away from all this? From ambition which is the greatest aphrodisiac? From women like Simona Halep and her poignant chase for a first Slam? From Caroline Wozniacki's pursuit of the same? From the serve of Karolina Pliskova, effrontery of Jelena Ostapenko and spirit of Sloane Stephens? People go to see stars, but stay for the tennis. For court No. 18 upsets, fifth-set comebacks, despairing chokes, yells of fury, twisted ankles, sporting embraces. For the joy of the game, its spins, angles and addictive hum of topspin. The Open might have a small limp, but it's still got some drawing power. After all, I haven't even started discussing them yet. You know that Rafa guy. And that Roger fellow. Leonardo da Vinci started painting the Mona Lisa at 51. These chaps are only 31 and 36.